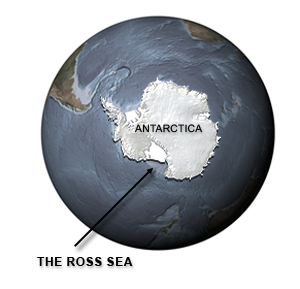 The Ross Sea, Antarctica is as far south as you can go on the ocean. 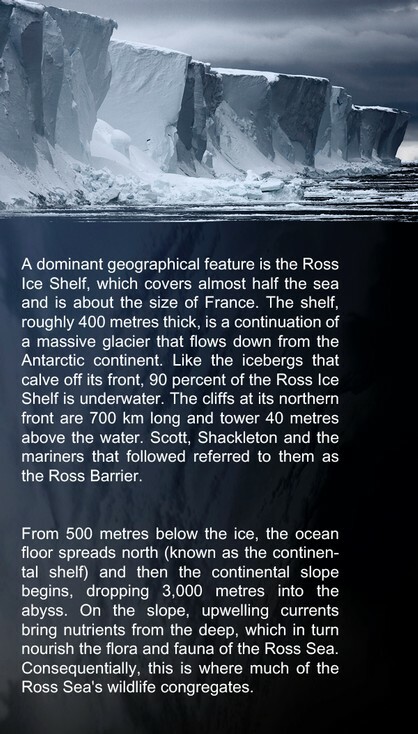 Roughly 4,000 km below New Zealand, it is a huge bay cutting into the Antarctic continent. The Antarctic continent itself is almost 1.5 times the size of the United States but 98 percent is covered with an icecap that averages more than 1.5 km thick and accounts for an estimated 70 percent of the world's fresh water. It is the only continent in the world that was never inhabited by humans. 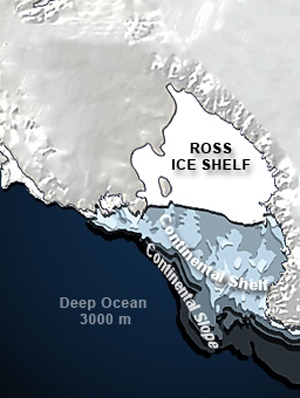 The Ross Ice Shelf and Continental Shelf are major geological features of the Ross Sea.© John Weller.